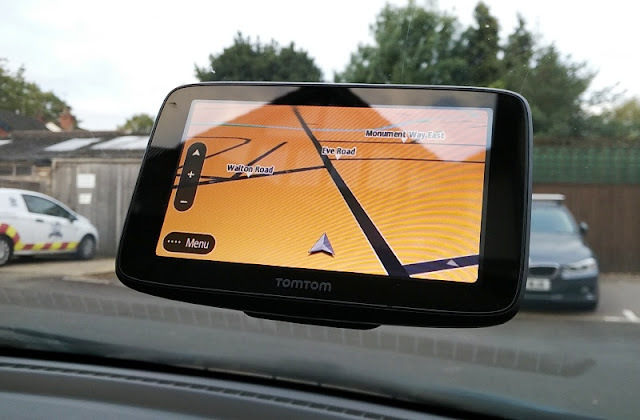 No matter how you shake it and pour it, petty theft happens closer to home than we think; hence you want your valuables in-sight and out-of-reach at all times! 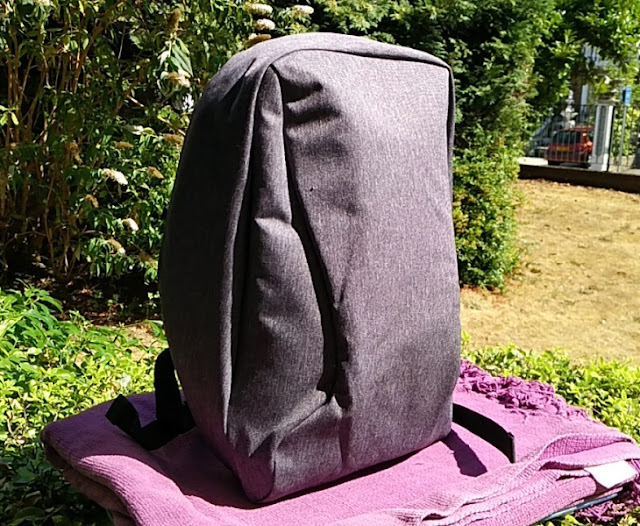 An anti-theft backpack such as the Berg Backpack by Hagen Bags helps you keep control of your stuff while containing them safely and discreetly without drawing attention to yourself. 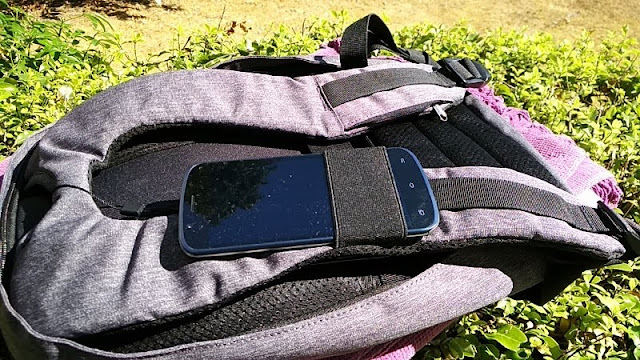 While the Berg backpack is designed to prevent someone breaking and cutting into the backpack, the Berg bag is also designed to safeguard your valuables from accidental damage thanks to egg crate-like foam embedded inside the bag. 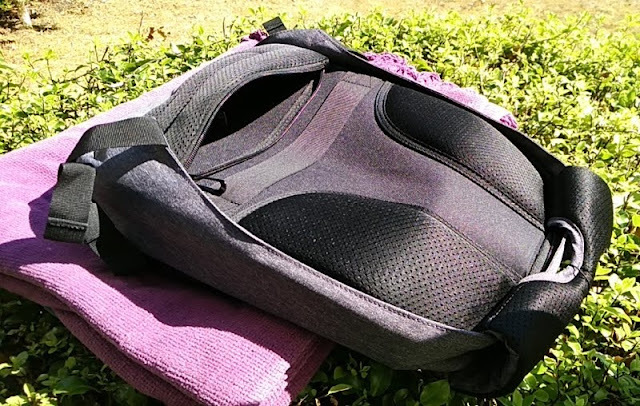 The protective blue foam in the Berg backpack is shock absorbent so the bag can resist damage when dropped to the ground or kicked, which is a good thing when carrying valuables like a laptop. 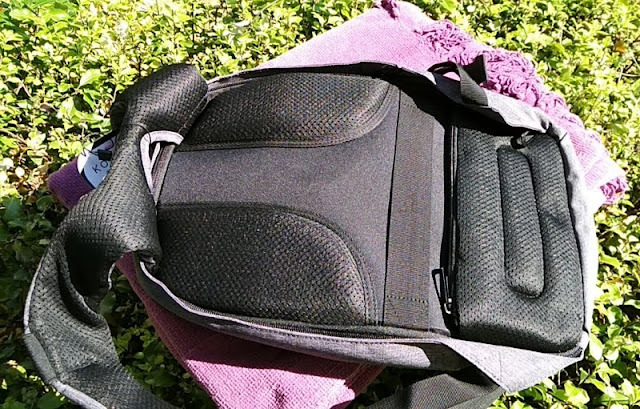 Talking about laptops, you can get the Berg backpack in 13-inch and 15-inch to fit 13-inch and 15-inch laptops such as the MacBook Pro. 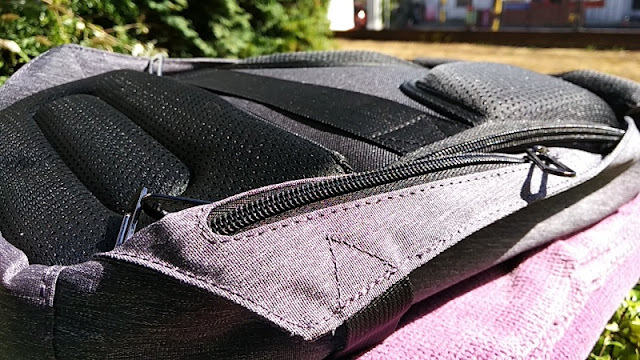 As well as having a dedicated laptop sleeve, the Berg backpack also has a 10-inch dedicated sleeve to fit a variety of tablets, including the Samsung Galaxy Tab S3, Apple iPad, ASUS ZenPad 3S and Dragon Touch X10. 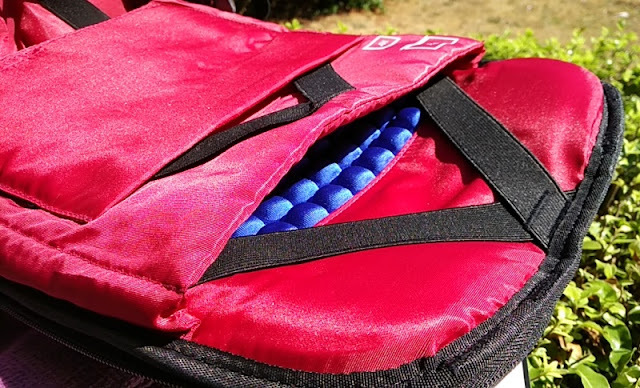 Both the laptop and tablet sleeves feature two elastic straps to prevent your laptop and tablet from falling out of the sleeve. 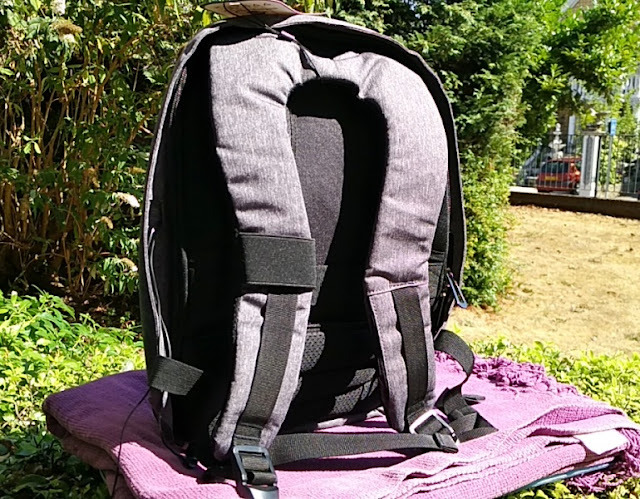 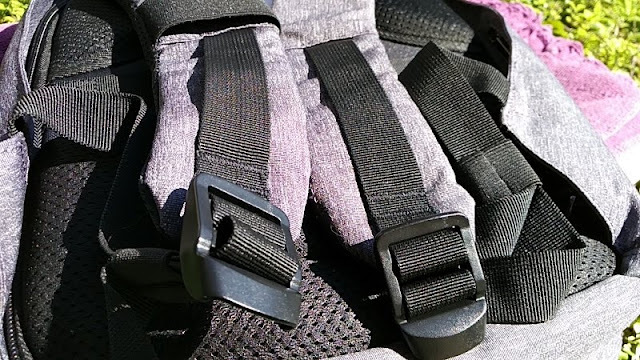 Typically, most laptop backpacks have a velcro strap to secure a laptop or tablet so having two elastic straps instead is definitely an improvement. 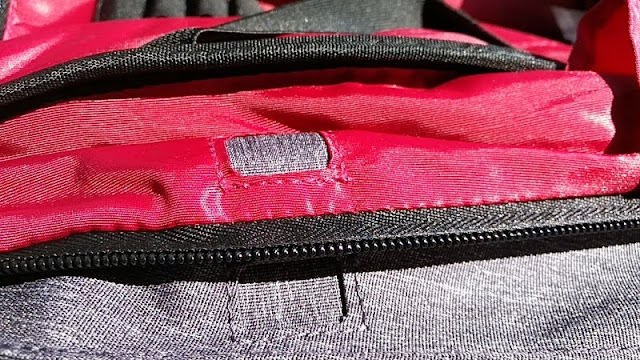 Also, it's nice to see that the elastic straps in the Berg backpack are sawn across in v-pattern to preven the laptop from bouncing up and down inside the lseeve. 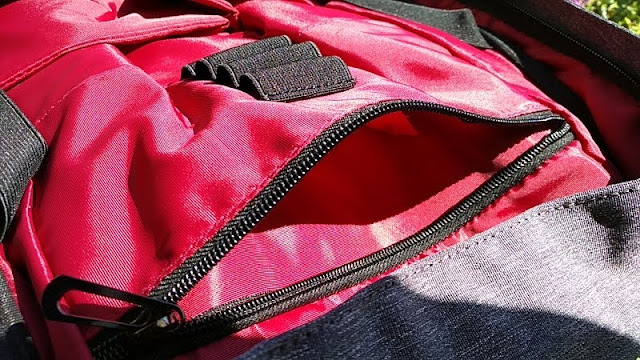 Moving on to the anti-theft features, the Berg backpack has three hidden pockets, one of which is a zip hidden pocket in the left shoulder strap. 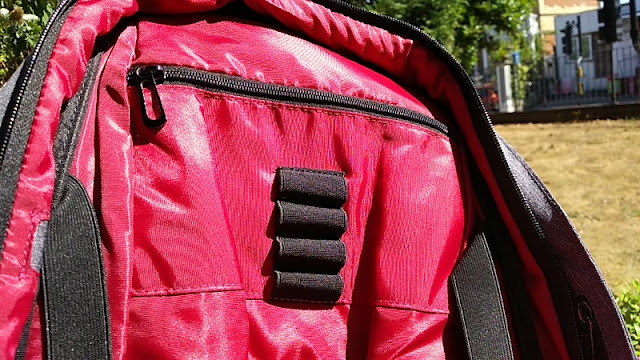 The other two hidden pockets in the Berg backpack are located on the lower back of the backpack and side exterior sleeve of the bag. 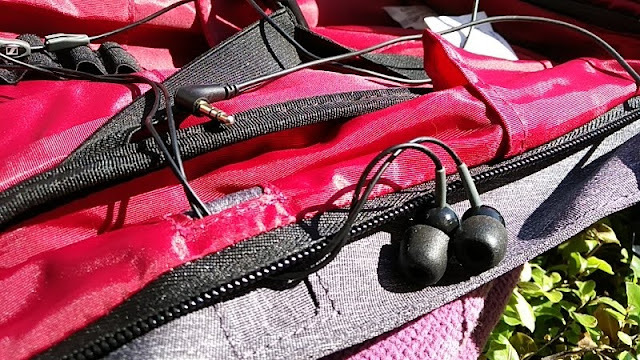 These hidden pockets, while small, are very useful and cleverly positioned in the bag. 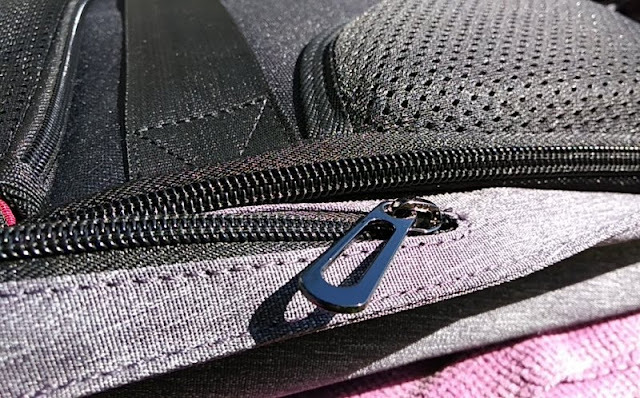 The second main anti-theft feature in the Berg backpack is the hidden zipper seam to the main compartment which is hidden by a long lip that folds in and out to reveal the zipper. 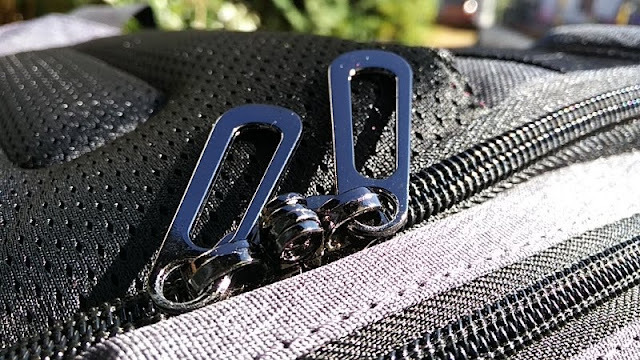 The third anti-theft feature in the Berg backpack are the aluminum zipper pull tabs with stylish loopholes in chrome finish. 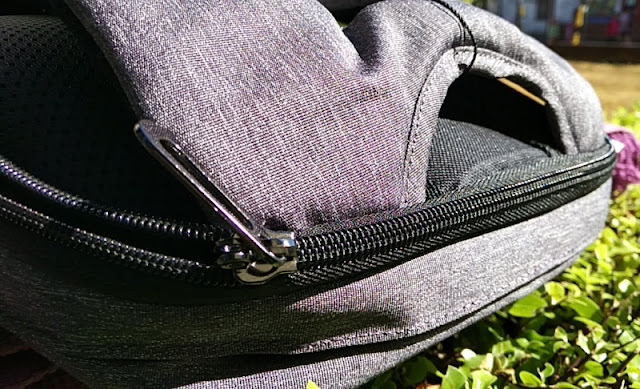 There is one of these loopholes in every zipper besides the hidden pocket zipper on the shoulder strap. 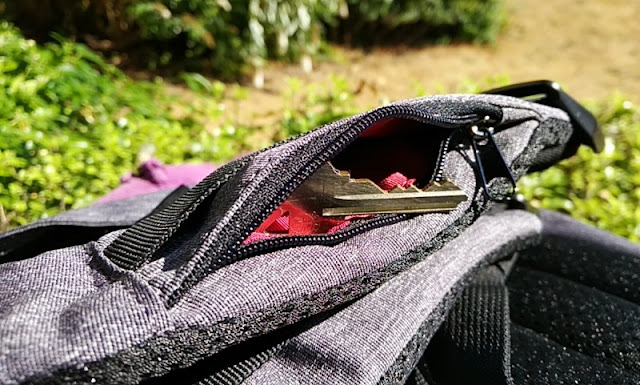 These zipper loopholes look very nice but they are also practical too because you can make them lockable. 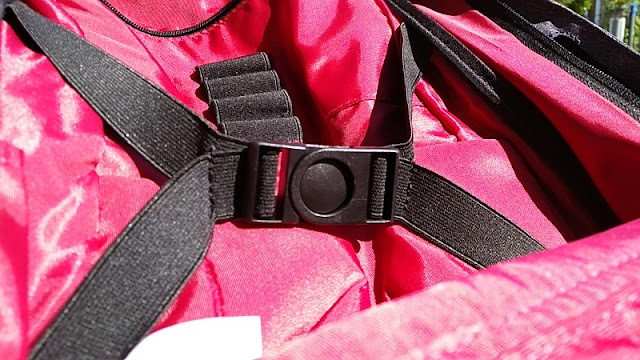 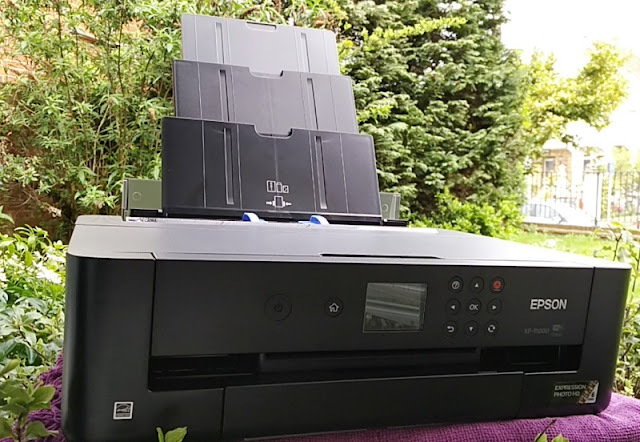 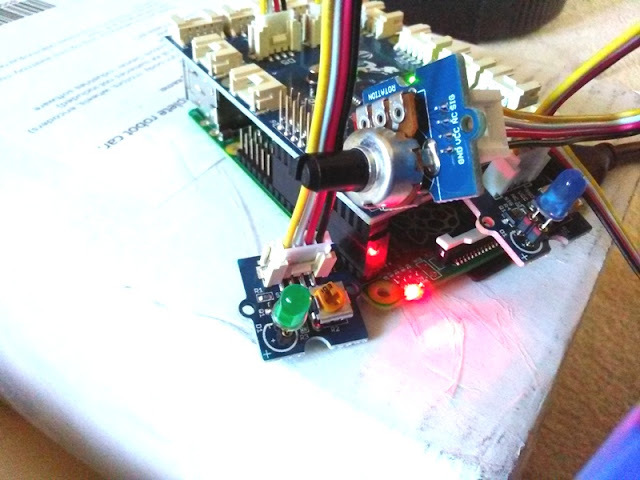 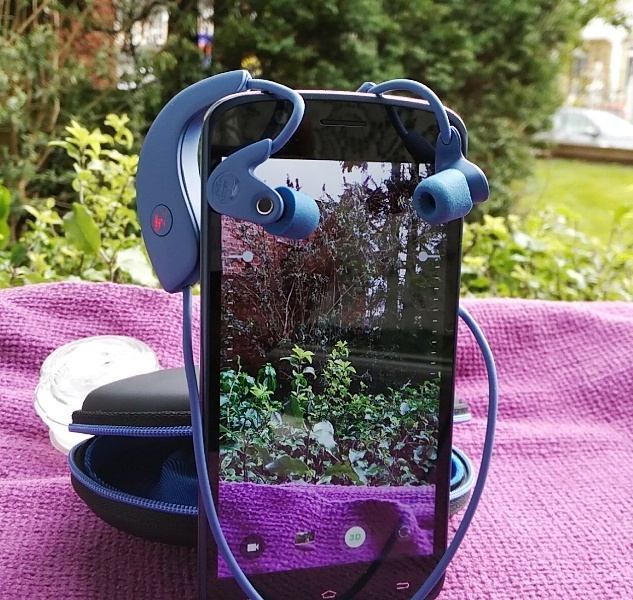 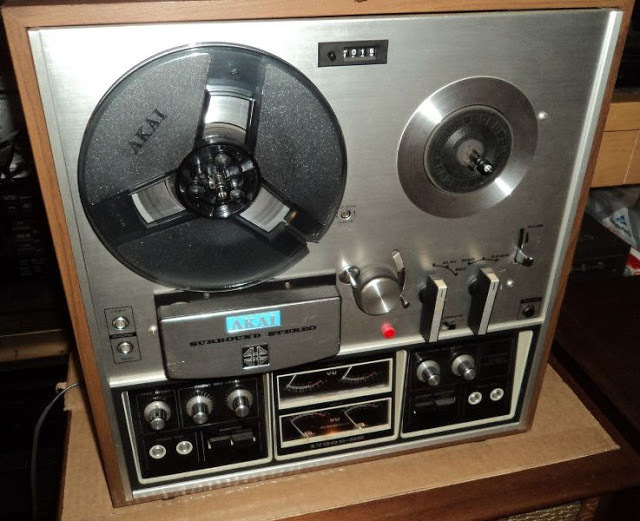 You can secure them with a padlock or run a locking cable wire through the pull tabs. 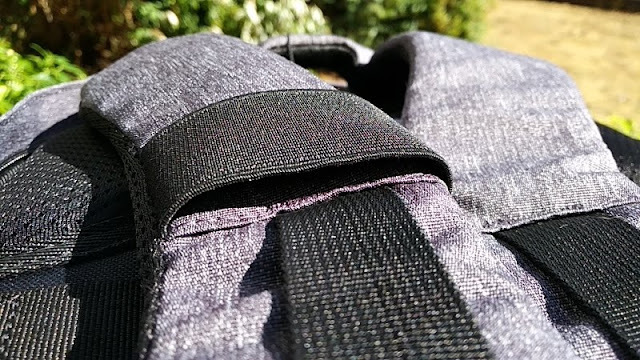 The fourth anti-theft feature in the Berg backpack is the actual construction of the bag which is made with Oxford material that is cut proof and scratch proof. 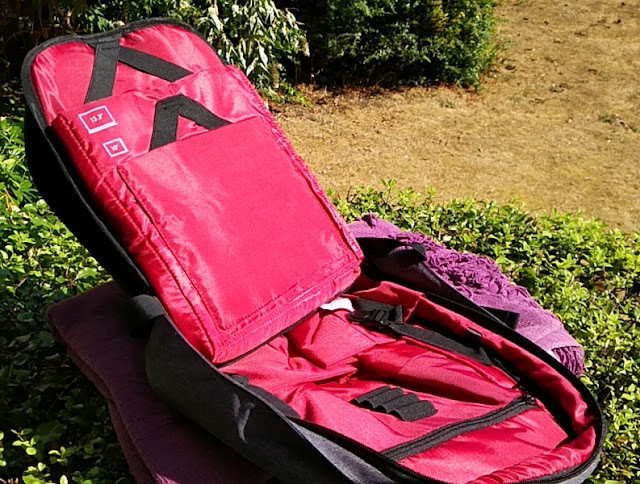 Not only the exterior of the bag is slice proof, it also repels water. 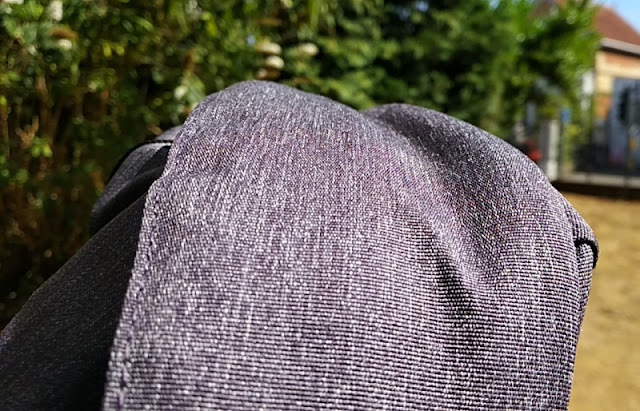 Oxford cloth is rough thanks to symmetrical basketweave so it's durable and great fabric, especially on a bag. 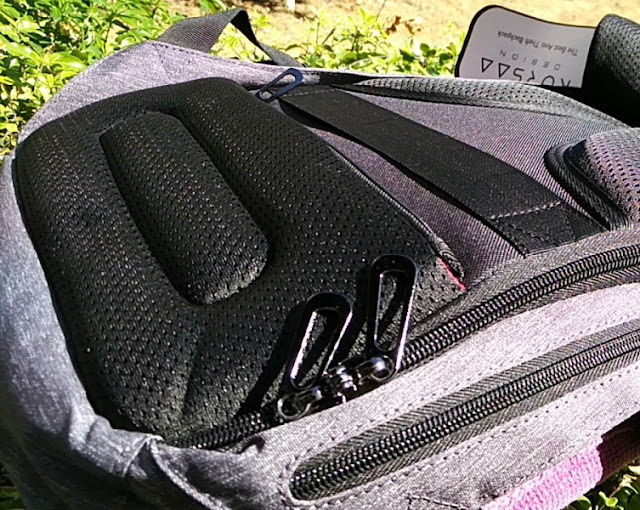 The Berg backpack features a few other conveniences such as a passthrough hole that lets you run anything from inside to the outside. 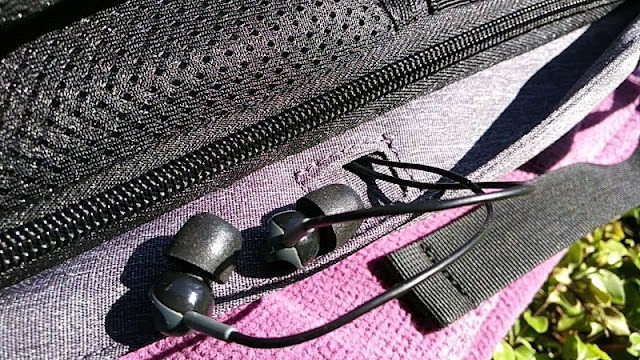 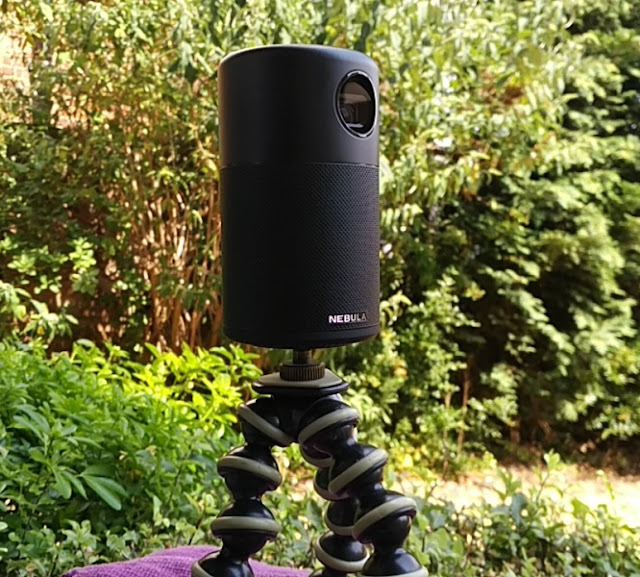 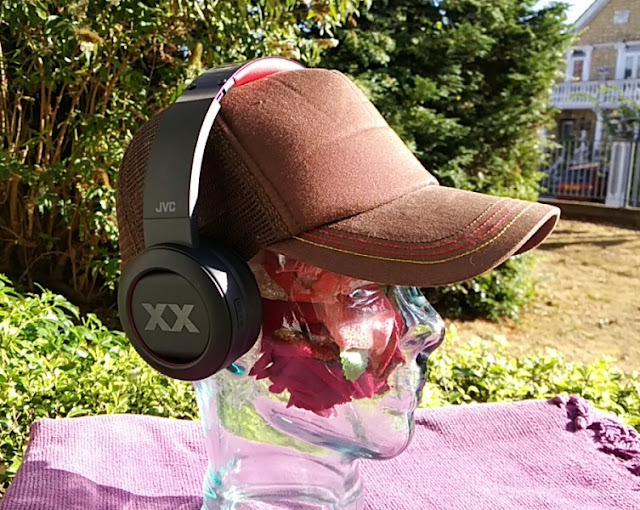 Very handy for running a pair of headphones or power bank charger to charge your smartphone on the go. 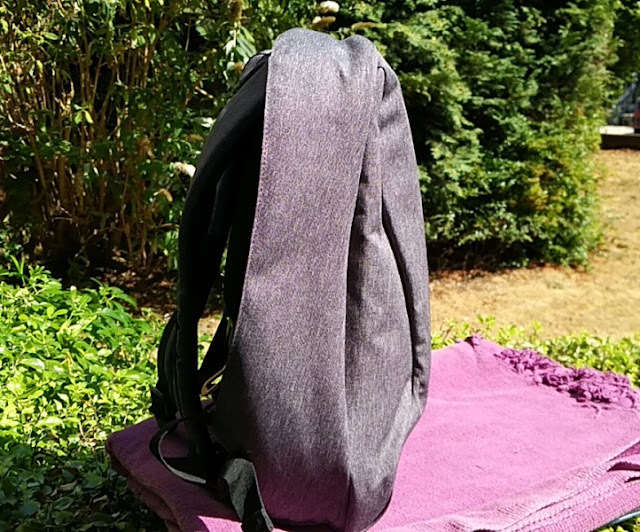 As far as comfort, the Berg backpack has comfortable padding on the shoulder straps which are adjustable to size. 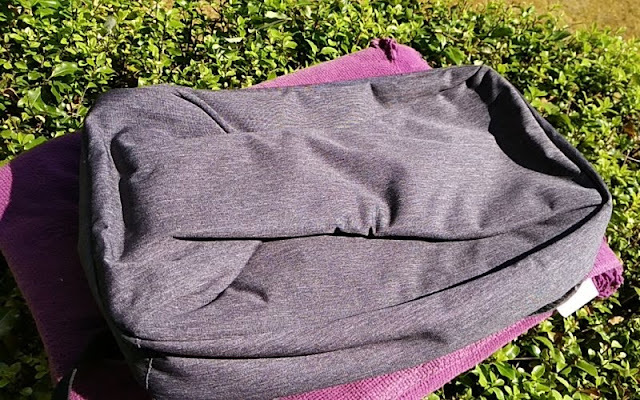 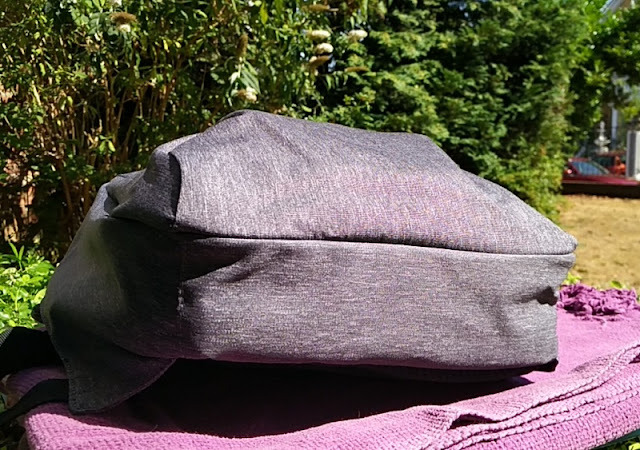 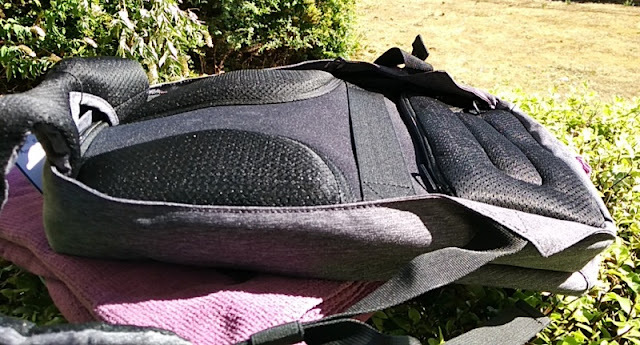 There is also thick padding on the back section for back support, including the back hidden pocket which is nicely padded for the lower back. 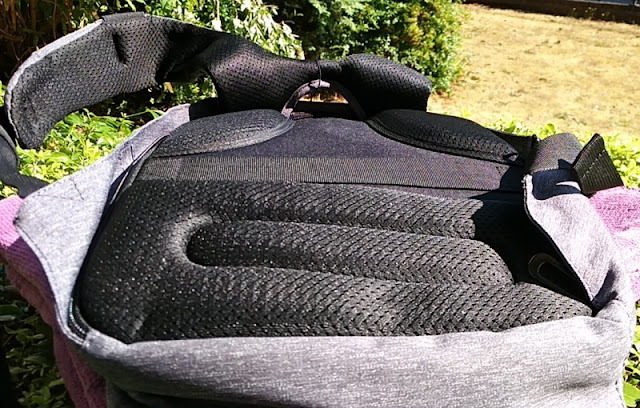 Back padding is arranged in three sections to allow the back to breathe so you don't get too much of a sweaty back. 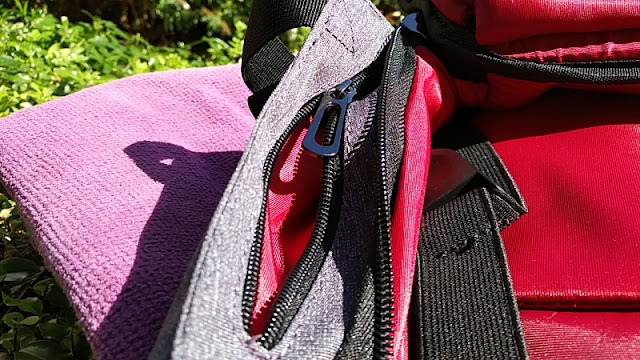 The long strap you see across the back on the above picture is a passthrough pocket for attaching the Berg backpack to a suitcase handle. 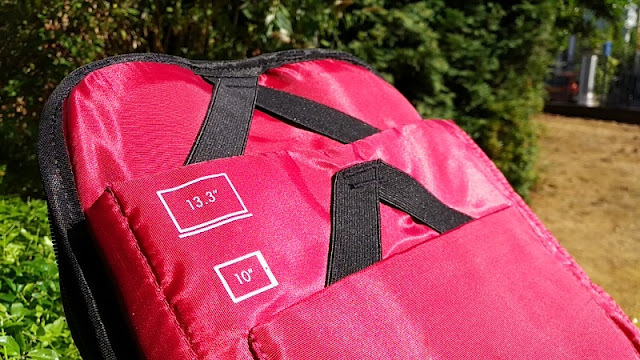 It's also worth mentioning that the main compartment of the Berg backpack opens up 180 degrees which is a convenient wide opening to have on a backpack when packing and unpacking.